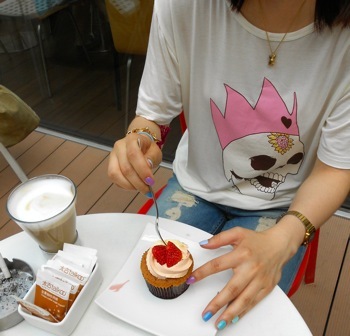 Both hands differently colored in pastel nails, coordinated with the « faux » distressed pale jean, the pale pink flipflops and the rose McQueen-inspired skull on her t.shirt colored. 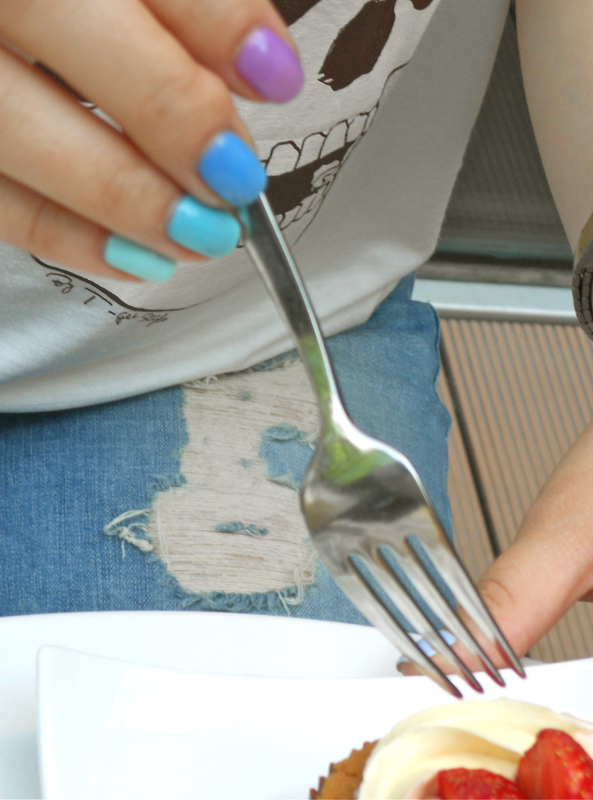 She was carefully dressed to look like a « punkish » version of a 5 years old. Very cool.